Abel Tasman, William Dampier, Jacob Weyland, Jacob Roggeveen, James Cook and other famous European travellers and navigators left their mark on the archives of Batavia Castle. Some famous exploration ships such as the yacht, The Geelvink (The Yellow Finch) appear frequently in the Daily Journals. This ship mapped the western coast of Australia at the beginning of 1697. Many smaller exploration reports about unknown lands by early modern Europeans are still awaiting their researchers. This sections offers a selection of such reports, including those from Asian travellers. Asian travellers are less well known although they were usually better acquainted with the islands and inner regions than their European contemporaries. Their reports are still being discovered in the archives. The lengthy report of Thomas Dias has attracted historical attention. He was a Portuguese-speaking citizen of Melaka, who visited the Minangkabau capital of Pagar Ruyung (Central Sumatra) in 1684. Another, almost forgotten, account is the brief report of a Chinese trader ’t Singko who lived among the Batak for ten years before he went back to Batavia in 1701. Both reports were discovered in the Daily Journals of Batavia Castle and published in the late nineteenth century. The secretary who kept the Daily Journals of Batavia Castle sometimes inserted such reports on interesting journeys in the official record. Another example is the report by Sergeant Cornelis Bogaerd who went searching bird’s nests in the steep hills of Kelapa Nungal in the Batavian Environs (Ommelanden) in 1690. 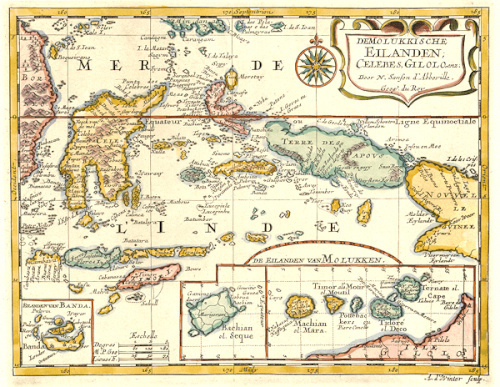 Or the report on Aceh by the crew of the yacht den Arent (the Eagle) in 1689. The Daily Journals also frequently mention the ‘dishonourable’ Captain Jacob de Roy who escaped troublesome Batavia and his local enemies in October 1691, only to return to face the music in 1698. His lengthy account, published in the same year, is highly informative on the two important independent port cities of Aceh and Banjermasin.